As a stylist on-the-go for the last decade, I have had my fair share of an over abundance of bags, bags, and more bags, containers, organizers, etc. I have spent so much money on trying to find the perfect set-up only to be let down. However, over the last year or so, I have finally found a pretty fool-proof set-up and items I cannot live without when I travel and am on-set. Here are some of my favorite things! 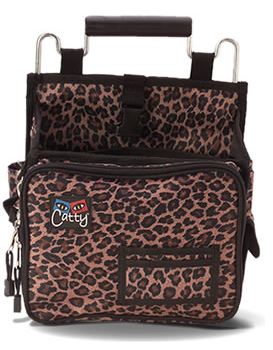 If you love organization and pockets, this bag is for you! It has so many pockets throughout the interior and exterior of the bag. It comes with 5 Removable Utility Pouches that are fully-lined with durable, easy to clean clear vinyl. They are also see-through so you can see what's inside. I was shocked to find out all my makeup except my airbrush system fits perfectly in here. Again, if you like pockets, you'll love this bag! I use this for my wardrobe supplies and for my airbrush system. I always bring this on set. I keep an extra pouch in here so when we move locations, I can just pack up what I need (hair, makeup, and wardrobe) and just slap this on my back instead of lugging around everything or worse, not being prepared. 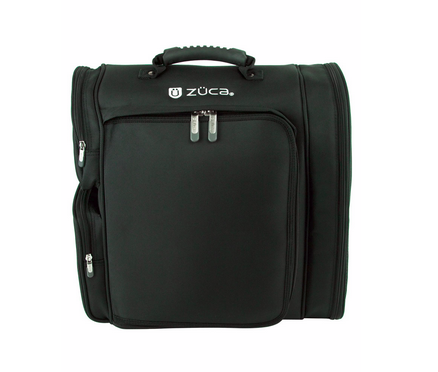 Best thing for traveling, It attaches to the handle of the Zuca Pro Artist Bag. Before last year, I did not have lights. I learned the hard way when I did Denver Fashion Week one year in a very dark room and my husband (boyfriend at the time) held his iphone flashlight up to my models face so I could see. Such a good man! It was there I met so many great artists who shared this weapon. Since then, these lights have saved me so many times and I just LOVE them. Super light-weight, easy set-up/break-down, and they don't get hot. Another bonus? The bag attaches perfectly to my Zuca Pro Artist Bag handle, before I attach my Artist Backback to it. Before I invested in this chair, I would use what ever chair was available to me in the photography studio, house, hotel room, etc. I'm sure some of you can relate... my back would kill me by the end of the day! This was the best investment for my body! 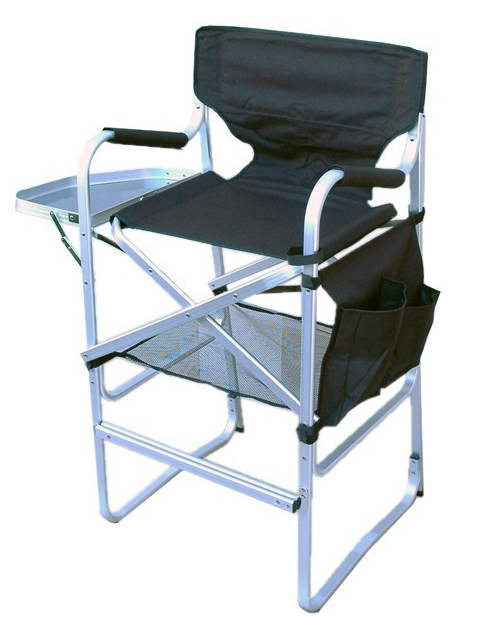 Plus, super easy to assemble, light weight and has a carrying strap. It also has pockets attached, and a tray for to set product on or give your client some room to set their drink/phone on. Pretty simple.... keeps my brushes organized. Also keeps my clean brushes and dirty brushes separated. I get a variety of sizes for these. They fit well in the Zuca pouches. 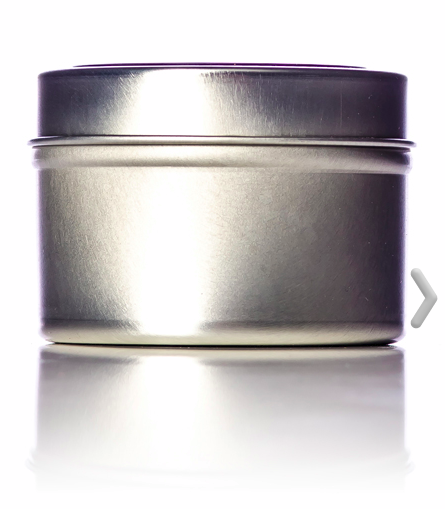 I prefer the tin over plastic for looks. I especially love the 8 oz one for my lipsticks. I can store them face down so I can see the labels. I keep the 1 oz ones in my bags for when clients need product for later application. 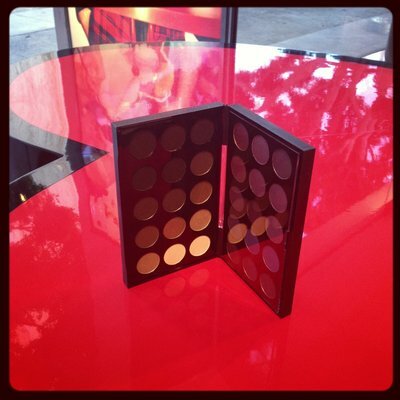 All my shadows, blushes, powders, etc, go in these. It saves me so much time not having to rummage through individual packaging. Plus, I tend to forget about products I have when they are individually packaged. I have had this bag for 10 years! Talk about durability! It is so perfect for session styling for hair. It holds all my products (minus shampoos/conditioners), irons, blowdryer, sheer pouch, brushes, bobby pins, rubber bands, business cards, and a few more random things. Again, if you like pockets, you'll love this bag! It also has a lot of straps and clips to attach things to. Last but not least for my organiziation. 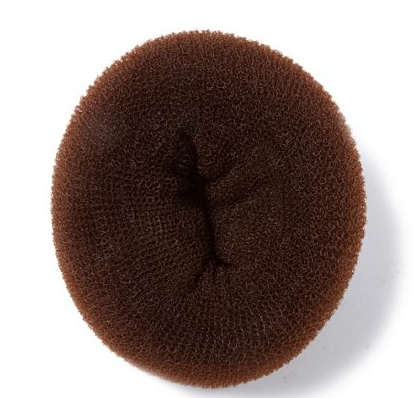 A hair donut used to hold all my pins. I pack about 6-8 different types of bobby pins and hair pins. I used to pack them all in a plastic organizer. Downfall - it takes up a lot of room and the majority of the time, they would all get mixed up anyway. So now before I hit the road, I just spend a couple minutes filling this thing up with bobby pins. The Hair Catty Bag has a string/clip I hook this onto. On-set, I put this donut around my hairspray for convenience. To all my fellow stylists, I hope this helps you out! If you have anything you can't live without and want to share the love to some industry pros, please leave a comment! Thanks!